One of the most awe-striking palms in the world is known as the Triangle Palm. The Triangle Palm is a palm that will make you look twice. 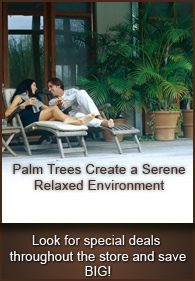 The Triangle Palm can make any area or landscape become a centerpiece of attention. Triangle Palms have come along way from off its originally native habitat, Madagascar. 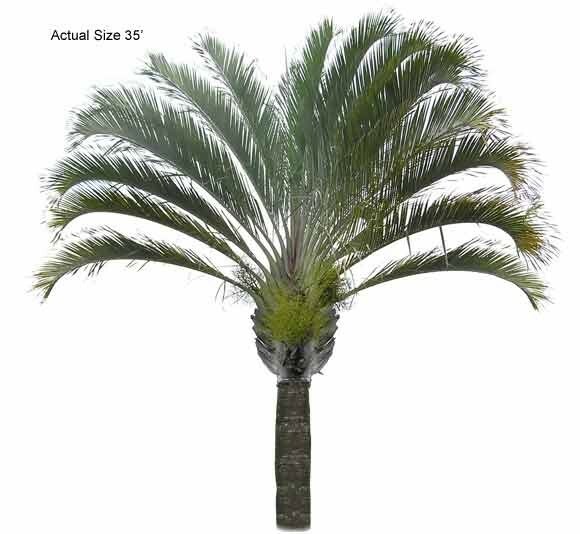 What makes this palm tree so desirable is its awe-inspiring fan formation appeal from its large feather-like leaves that can grow up to 13 feet long. It also has the ability to adapt to a wide range of soils and its ability to create a wonderful shaded area in the yard or the pool. The maximum average height of a Triangle Palm can reach over 20 feet and its trunk can reach over 2 feet in diameter. The Triangle Palm leaves usually spread over 10-20 feet long from tip to tip. The Triangle Palm enjoys full sun and thrives in moist soil conditions. Whether you have the Triangle Palm inside or outside, it makes a wonderful social piece and an immediate feel of the tropics.